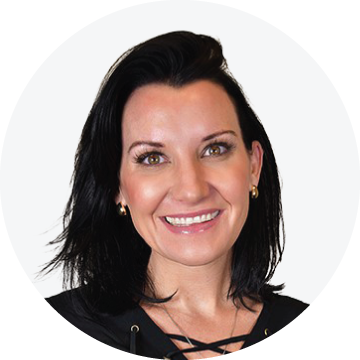 Joni Collins Ricketts is a mother, a teacher, and a physician assistant that has created a mobile wellness center for people with or without insurance to have access to affordable medical care and aesthetics. 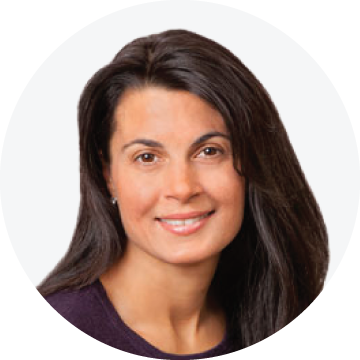 She has practiced in Neonatology, Internal Medicine, Hospitalist/Trauma, Interventional Cardiology/ Electrophysiology, Reproductive Endocrinology (with a focus in Polycystic Ovarian Syndrome), Facial Plastics Head and NeckSurgery, Dermatology, and minimally invasive aesthetics. Joni gives patients non-surgical options and performs PDO thread lifts, Ultherapy, fillers, PRF/PRP micro-needling and injections. 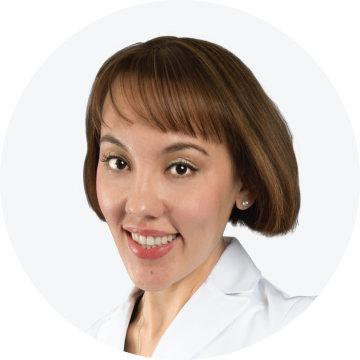 She has been a board certified Physician Assistant for over 13 years, is a National Trainer for AIAM and a certified Aesthetic Consultant; she strives to improve the quality of life for others through education and service. Joni is a Jacksonville native and is fluent in Spanish, she and her husband, Jeff, have twin daughters. AIAM offers in office Platelet-Rich Fibrin (PRF) private trainings for up to 2 of your Staff. Also includes 3 free additional ezPRF kits with the purchase of ezPRF Starter Bundle. Private Trainings limited to participants from one office location ONLY. Any exceptions will need to be approved in writing by AIAM at time of booking. We will contact you and our trainer to determine the best date that will work for both parties. We will try to confirm your training date as soon as possible, however please be aware that it typically takes about 10 business days for us to secure your date and time. Stand-alone Platelet-Rich Fibrin trainings have limited locations available (50-mile radius from trainer location). Participants must provide their own model and ezPRF centrifuge. ezPRF kits will be provided by AIAM for the training. *Price may vary based on trainer requested. AIAM offers in office microcannula private trainings for up to 2 of your Staff. Also includes a coupon for one free large box of cannulas. Stand-alone microcannula trainings have limited locations available (50-mile radius from trainer location). Participants must provide their own model and FDA approved filler for the injections. Microcannulas will be provided by AIAM for the training. AIAM offers in office Refresher (Advanced) Private Trainings for up to 3 of your staff (only if originally trained). The training also includes a $3,500.00 coupon towards the purchase of PDO Threads. Private Trainings limited to participants from one office location ONLY. Any requested exceptions will need to be approved in writing by AIAM at time of booking. We will contact you and our trainer to determine the best date/time that will work for both parties. We will try to confirm your training date/time as soon as possible. However please be aware that it typically takes about 7-10 business days for us to secure your date and time. $3,500.00* coupon towards the purchase of PDO Threads. 2 hours of 1-on-1 training at your office location (includes a didactic review). Participants must provide their own model and the PDO Threads for their refresher training. Refresher trainings will only be conducted for medical professionals previously trained by AIAM and will be conducted on the original training you received. No training materials will be included. Price may vary based on trainer requested (medical doctor or nurse). Only 2 Refresher Private Trainings per year will be eligible to receive a NovaThreads coupon. You will have a 90 day period to redeem the coupon code, from the time of issuance. AIAM offers in office Private Trainings for up to 3 of your staff. Also includes a $3500 coupon towards the purchase of PDO Threads. – Participants must provide their own model and PDO Threads for the training. Refresher trainings will only be conducted for medical professionals previously trained by AIAM. *Price may vary based on trainer requested. Only 2 refresher private trainings per year will be eligible to receive a NT coupon. You will have a 90 day period to redeem the coupon code, from the time of issuance. AIAM offers in office (Advanced) Private Trainings for up to 3 of your staff. The training also includes a $5,000.00 coupon towards the purchase of PDO Threads. Private Trainings are limited to participants from one office location ONLY. Any requested exceptions will need to be approved in writing by AIAM before booking. $5,000.00* coupon towards the purchase of PDO Threads. 1 hour didactic on Body indications of PDO Threads. 3-4 hours of 1-on-1 training at your office location. Certificate of completion for participants. Comprehensive workbook with theory and guidelines. PDO Threads provided for the training session. The Facial PDO Threads training is required prior to complete an Advanced training session. Lip treatments, Jowl treatments, Brow treatments or Neck treatments are all applicable for the training session. *Price may vary based on trainer requested (i.e. a medical doctor or a nurse). Only 2 Private Trainings per year will be eligible to receive a NovaThreads coupon. You will have a 90 day period to redeem the coupon code, from the time of issuance. AIAM offers in office Private Trainings for up to 3 of your staff. Also includes a $5000 coupon towards the purchase of PDO Threads. Private Trainings limited to participants from one office location ONLY. Any exceptions will need to be approved in writing by AIAM before booking. $5,000* coupon towards the purchase of PDO Threads. *Price may vary based on trainer requested. Only 2 private trainings per year will be eligible to receive a NT coupon. You will have a 90 day period to redeem the coupon code, from the time of issuance. PDO Threads will be provided by AIAM for the training.